Search PubMed and add papers to your Mendeley library from your Android device (works on iOS too). Get life-science specific recommendations from PubChase, based on your Mendeley library, with no need to build a separate library in PubChase. The forte of ZappyLab is mobile and web technology. We have no plans to build citation management plugins. So, from the beginning, we wanted to make it easy for our users to import their libraries from Mendeley, Papers, Endnote, and other software. However, adding newly recommended papers to your PubChase library means that you then have to export your PubChase library to the other software when writing a paper. The Mendeley sync greatly simplifies this process. Though our Endnote and Papers users keep asking for a similar integration, those tools do not have open APIs, so it is not an option for us. Therefore, we will be focusing our developmental efforts on deeper integration with Mendeley. The conclusion of that paragraph is precisely why we make the Mendeley API available and we’re happy to feature them on our Developer Portal. We hope to see great things from PubChase and from all the other talented developers using our platform to serve their constituents. 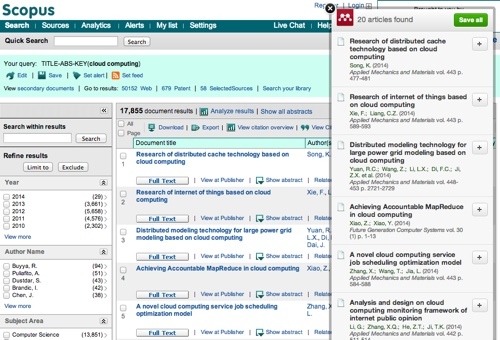 To get started with PubChase and the Mendeley Sync, follow the instructions at Pubchase. 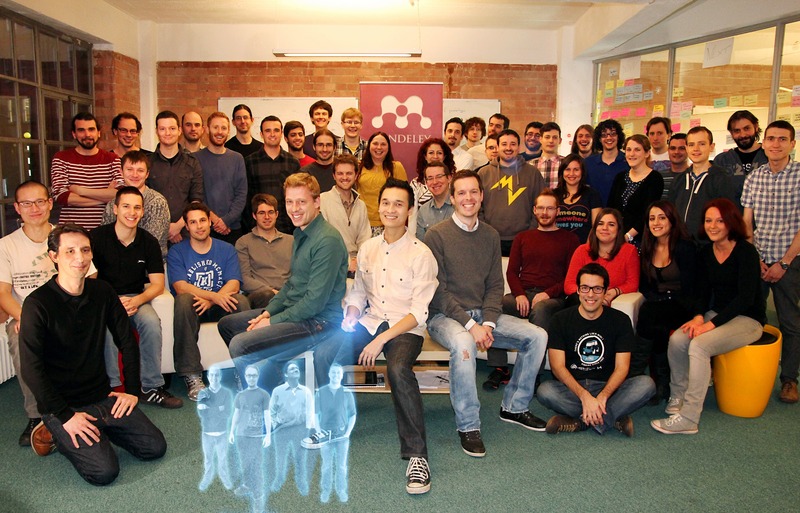 *I know many of you are disappointed we don’t have an official Android app for Mendeley. We’re working on it for the new year and think PubChase and Mendeley will be a nice pair for life science researchers who use Android. The ongoing conflict in Syria is one of the world’s most pressing humanitarian crises, but an often overlooked consequence of this catastrophe is that it is also causing a generation of promising researchers to be potentially lost. Since 2012, the Illinois Institute of Technology has welcomed 35 promising students from Syria to the US, and they have been conducting research in STEM-related fields which in many cases has also led to offers of work from companies such as Motorola and Goldman Sachs. These students view communication and collaboration as a crucial tool in helping to support the struggling research community in their country, and here they give their own inspiring perspective on what can be done to counter the many challenges they face. We always believed in our capability to do big things as Syrians, but the amount of visible success that we have achieved during our short time in the US strengthened our confidence in the potential of Syrians. We also deeply and firmly believe that we have an obligation and responsibility to the tens of thousands of university students in Syria and those now displaced – and to the memories of those who have lost their lives. Our goal is to work with partners, such as Mendeley, to amplify and lift their voices and their research to the global academic community. Syrians, however, are facing very hard times now. Due to the catastrophic conditions throughout Syria and now neighboring countries, bright, talented and ambitious undergraduate and graduate students are now faced with even greater adversity in their desire to move their innovative ideas and research forward – fewer resources, a declining number of students and faculty who can readily assemble to pursue intellectual inquiry, and significantly reduced connectivity to fellow peers, and the regional and global community of researchers and scholars. This does not mean that it is over for them, it just means that we need to put more effort into gathering resources and making them widely available for Syrians, as well as any other countries facing conflict. Syrian university students must know that they are meaningfully connected to current researchers and to the legacy of those who have created the foundation of science and the arts for more than a thousand years. 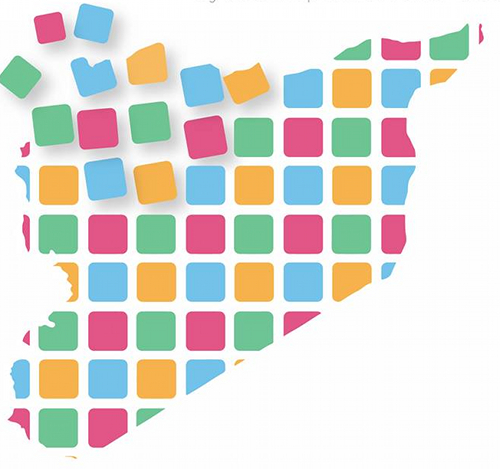 To organize Syrian undergraduate and graduate research abstracts, innovation initiatives, and intellectual property in order to share these resources with the Syrian diaspora and the world for mutual and universal development of the human condition. In so doing, we seek to provide a platform, a “virtual incubator for ideas,” and learning architecture for other university students where education is at the extreme through armed conflict, insecurity, poverty, natural disaster, repression, and loss of academic freedom. We believe that the Mendeley community and network of scholars offers an ideal foundation to explore the details of this idea, and to collaborate to create a platform to provide young Syrian university students – our future faculty, researchers, scientists, entrepreneurs, diplomats, artists and peacemakers – with mentoring and the necessary resources that to help them carry their education forward despite the daily, and often horrific, realities of armed conflict, increased poverty, and fear. The Syrian people are resilient and we believe that this initiative creates a momentum for research, scholarship, hope, freedom, and peace. Finally, we would like to thank the entire Mendeley team for the opportunity to present these ideas; in addition, offer our gratitude to Jusoor, EducationUSA, the Institute of International Education, Illinois Tech, as well as our families and generous donors who have supported us in our journey forward. We would value feedback from the Mendeley community on how we can help further, and have started a Mendeley group called Research in Conflict where you can also share your thoughts and experiences on the subject. You probably know that Mendeley has an open API that lets 3rd party developers build apps that work with the platform (we have over 300 of them so far!) to offer our users even more useful tools and services. One such app is a push notification service called CatchApp, which lets you keep track of all your updates – including Mendeley – in one feed. If you’re tempted to try it, Mendeley users can get a larger update quota at a discount. All you need to do is enter the code “mendeley” after signing up. Working in a research group can be a hassle sometimes. Collecting information, organizing references and writing papers is a highly collaborative task. Especially when it comes to remote collaboration, transparency about who’s doing what in the project is key. That’s what CatchApp is all about. 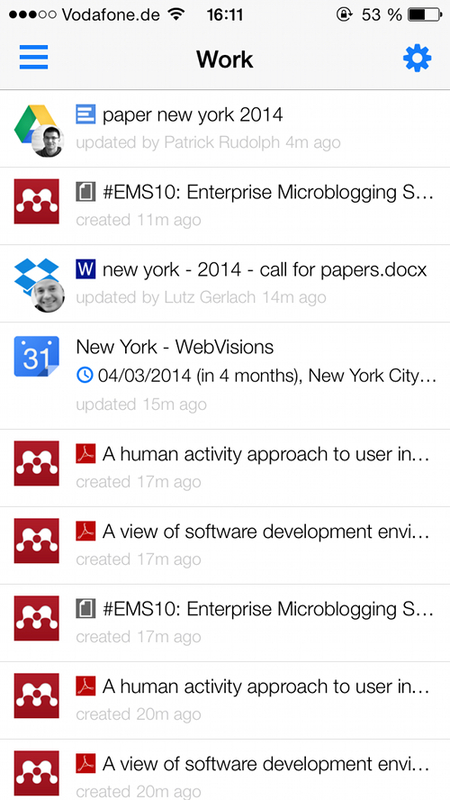 It’s the easiest way to catch up with everything your team is working on. 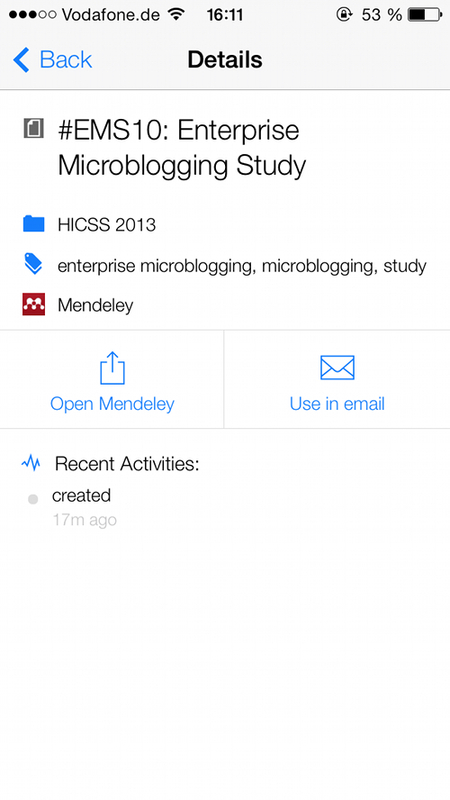 Mendeley has recently been added to CatchApp’s collection of integrated apps. It brings you one feed where you can follow updates in your connected apps. Whether it’s new references in shared Mendeley groups or updates on your recent paperwork in Google Drive or Dropbox, CatchApp sends push notifications to your iOS device, keeping you informed on the go. Supported apps include Dropbox, Google Drive, Google Calendar, Evernote, Box, Trello, Basecamp, Podio, Pivotal Tracker, GitHub, Bitbucket, Zendesk, Highrise, Yammer, Salesforce Chatter, SkyDrive, Mendeley, Lighthouse, Twitter, and RSS feeds.